Montreal has had a vibrant cultural and arts scene for many decades. It was a major nightlife destination from prohibition to the mid-1950s thanks in part to its internationally reknowned jazz scene, generating superstars of the genre such as Oscar Peterson and the top burlesque dancer of the age, Lili St. Cyr. This was also an era where its theatre community, in both English and French, came of age; when many reknowned authors and artists emerged, such as the poet Irving Layton or the painter Riopelle. But by the early 1960s, the city was in a transitional phase: new skyscrapers and highways would drastically reshape downtown, and the city’s four major universities began overflowing with the post-war baby boom generation which as in other cities was a catalyst for social and cultural change. 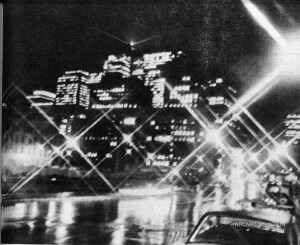 Beginning in the mid-1960s, the central districts of Montreal in particular began to develop a new cultural milieu in which young artists, writers, poets and musicians could get to know each other and get their works known by the wider public. It involved the creation and programming of new cultural spaces where Montrealers could host readings, exhibits and concerts of their own work and of visiting luminaries such as Allen Ginsberg and Bob Dylan. It also involved the emergence of independent media, including student radio stations and newspapers; small press cooperatives; and independent book, magazine and record stores where young local creatives could sell their own publications and recordings in a do-it-yourself fashion. Montreal Underground Origins explores this era through interviews with individuals active in Montreal’s nascent independent arts community as artists, authors, performers, promoters, small publishers and regulars of the principal venues, cafés and small presses of the era. The project’s sponsor, the non profit organization Archive Montreal, draws on its extensive archives to complement the information with publications, photos, and audio-visual material from the era. Comments and discussion from the public are welcome! The project can be reached at archivemontreal@archivemontreal.org .